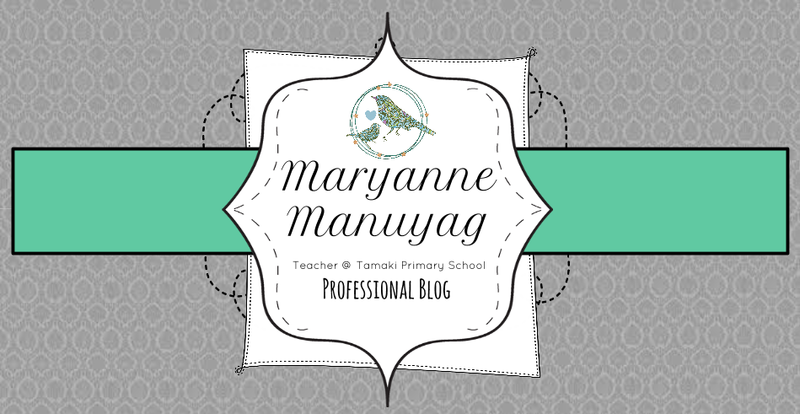 Maryanne Manuyag : My First Reflection! "Art washes from the soul the dust of everyday life." 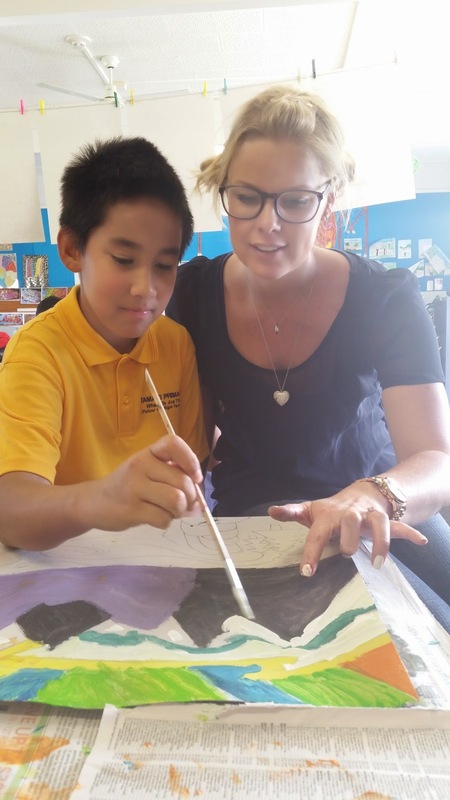 I feel incredibly privileged this year to be the first "Art teacher" at Tamaki Primary. My job is simple in its design brief, and yet I spend all day inspiring children to be and do the best that they can, with the talents that they have - isn't this the reason we started teaching? However there is the frustration of my colleagues thoughts of my job description - you know, simply "colouring-in" all day. The fact that I spend hours preparing lessons, finding inspiration, matching these ideas with classes of students that will be inspired by them, then cutting paper to size, organising equipment, setting up my art room (which has often been moved around in my absence! ), creating extension activities ... (etc) all within the 8:00-4:00pm time frame, means that the days I work are frantically busy! Especially when combining my set up with the tension of teaching with Art media - 'will children spill paint?' 'Will they break the $25 water colour pencils?...' and then add on duty and meetings, and getting the gorgeous art on the walls... My days are a delicate frantic balancing act! But what art is created! I have been blown away with the incredible talent (and I don't type this lightly!!) of the students at this school! With some simple teaching, absolutely breathtaking art has already been completed - and its only term 2! VERY exciting! 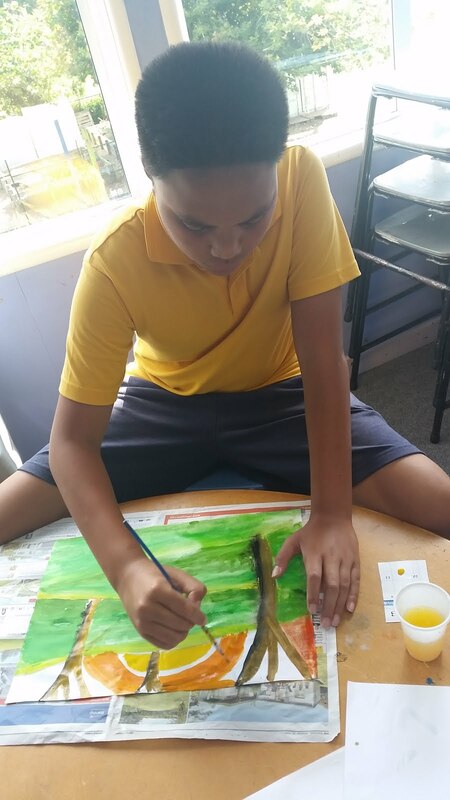 What an extraordinary privilege it is to teach Art at Tamaki Primary school! 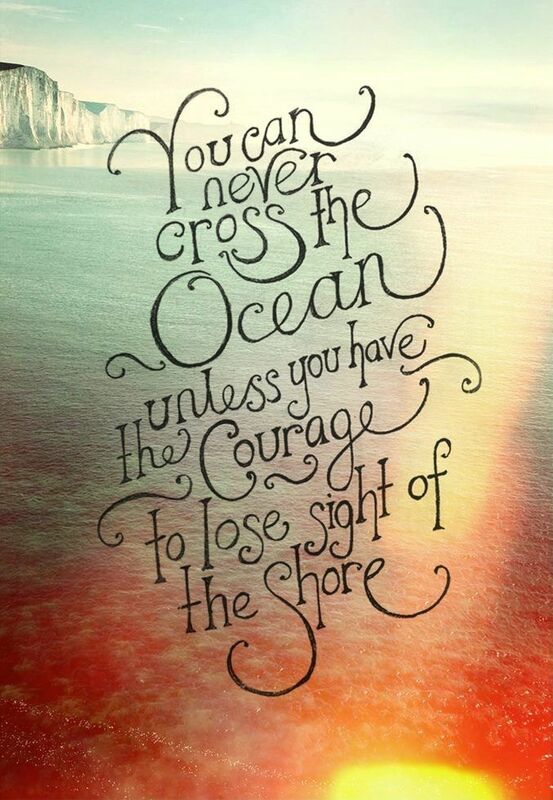 Art - Visual Art vs Performing Arts!